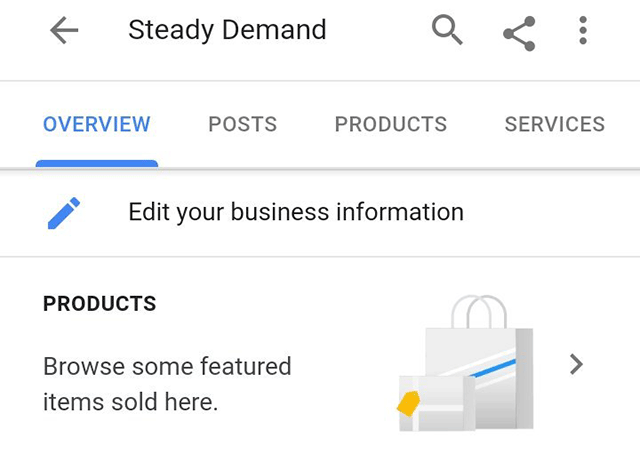 Google is showing yet another product/shopping related feature in the local panel. This one says "browse some featured items sold here" and has a link to explore those products in search. Ben Fisher noticed this and posted it on Twitter, he said "Shows after selecting more about this business and only on mobile browser ATM." He added this was found by @tomwaddington8 and confirmed by the top contributors in the Google forums.